VCV strives to provide a warm and welcome volunteering environment. Our students will be more than simply students. They will also become your friends & guides. You will have plenty of free time to meet amazing people and discover Vietnamese culture, all whilst sampling traditional Vietnamese foods. This will be a great chance for you to participate in local life. We are looking for people who will match our ethos. We aim to create a fun, easy-going & most importantly, family-like atmosphere. Here,we will not only work together, but also share food, stories and experiences. We do not require a teaching certificate or teaching experience, or that you be a native speaker. However, we do require that you speak English to an advanced level, with a clear accent. We ask this because we hope to give our students the best quality experience and education. 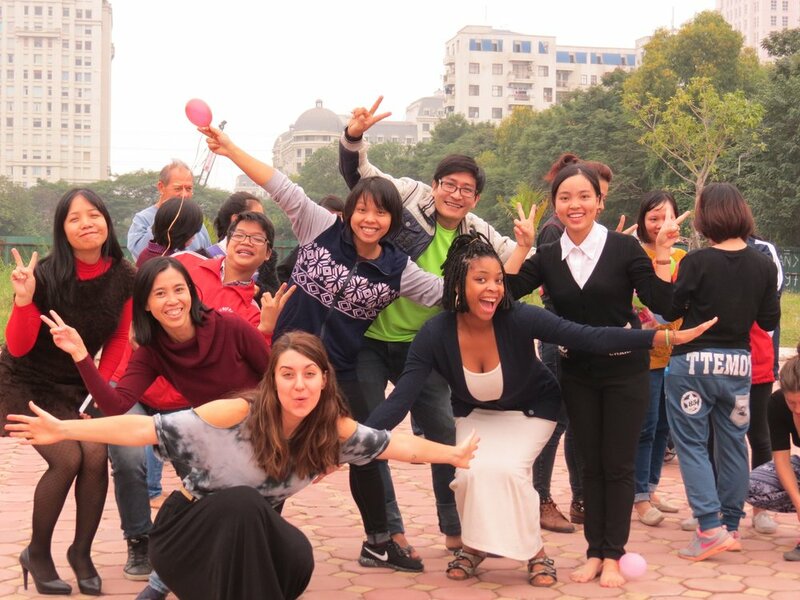 Volunteers can expect to make life-long friends and learn about the friendliness and openness of Vietnamese culture. You can also expect to meet lots of new people from all over the world. In doing such valuable work, your communication skills, confidence and cultural awareness will improve. These are all skills that you can take with you onto the next stage of your life, with fond memories that will stay with you forever! Join us now and being filled with beautiful memories. - Gain work and life experience. - Meet new people and make friends. - Help others and enhance community life. - Opportunity to use your skills, knowledge and experience to help others. What can you do as a Volunteer with VCV?